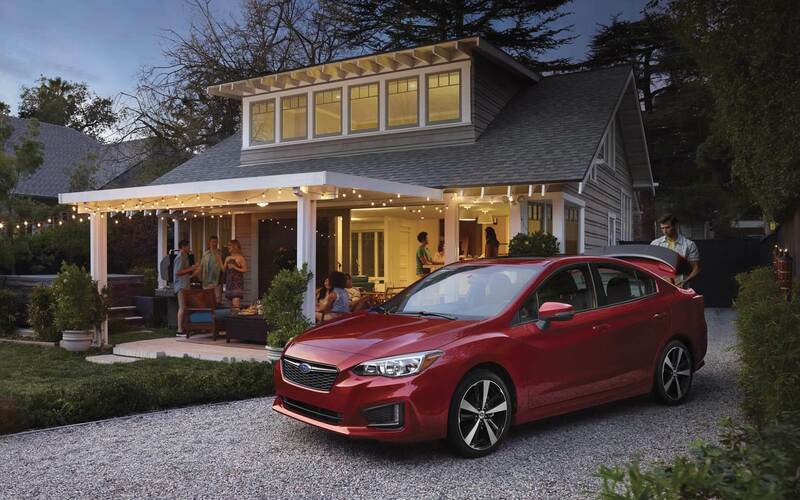 The Subaru brand creates vehicles that are nothing short of amazing and the 2019 lineup is no different! 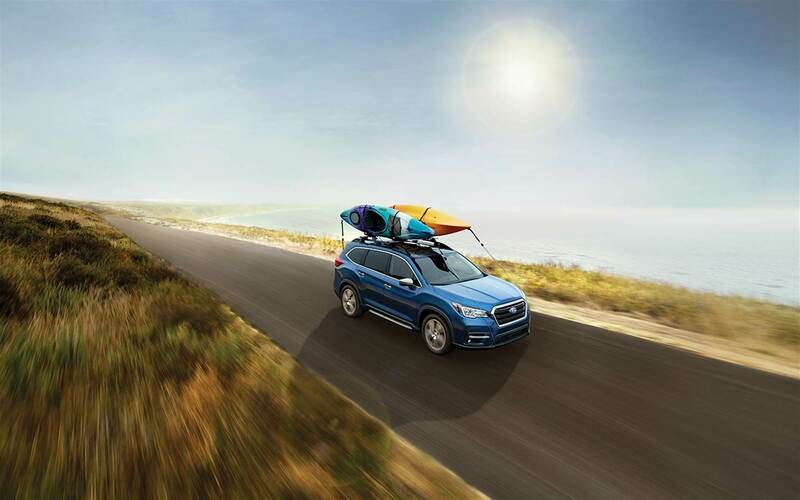 The Forester is sailing into the new model year with a total redesign offering a more powerful engine, Subaru's unique safety EyeSight technology as standard, and even increased cargo and passenger room! We cannot forget that every single Forester model is equipped with standard all-wheel drive to help you navigate less than ideal weather conditions and adventurous terrain. Read through the rest of our 2019 Subaru Forester review to learn all about what this roomy vehicle has to offer! What kind of features does the Forester offer? Subaru offers the brand new Forester in five incredible trim levels. 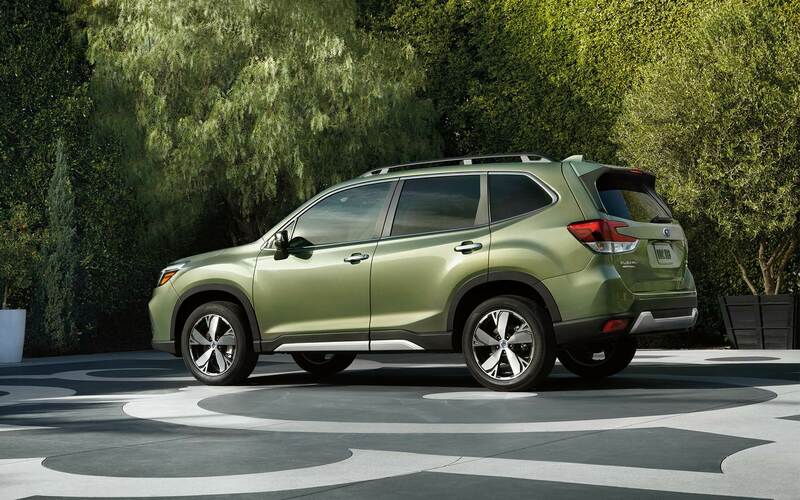 They include the base Forester model, Premium, brand new Sport, Limited, and Touring. Created with premium passenger comfort in mind, the Forester is now quieter than ever before thanks to the Subaru Global platform that reduces harshness, vibration, and noise. Passengers will also love the standard automatic climate control that will keep everyone comfortable no matter the temperature outside! Standard features include LED headlights, EyeSight safety technology, automatic engine start/stop technology, Active Torque Stability, Trailer Stability Assist, Automatic Climate Control, SI-DRIVE Engine Performance management, and Welcome Lighting. 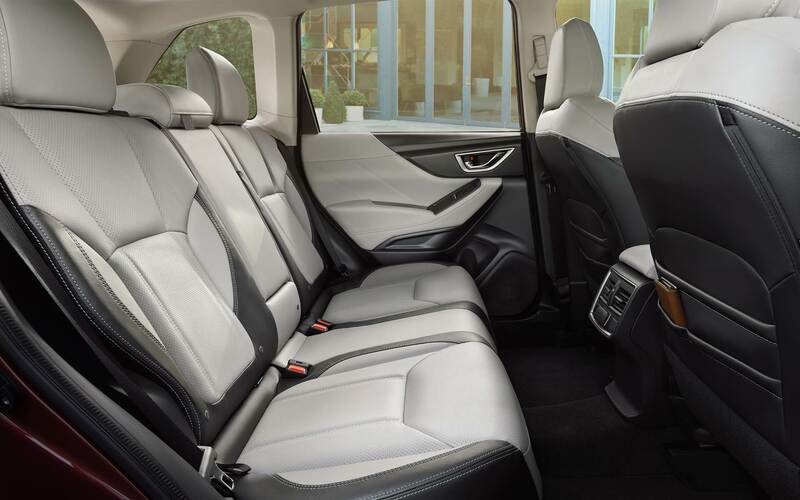 Each trim level adds more and more features like memory position exterior mirrors, a 10-way power driver's seat, a new power rea lock button for the liftgate, and more! 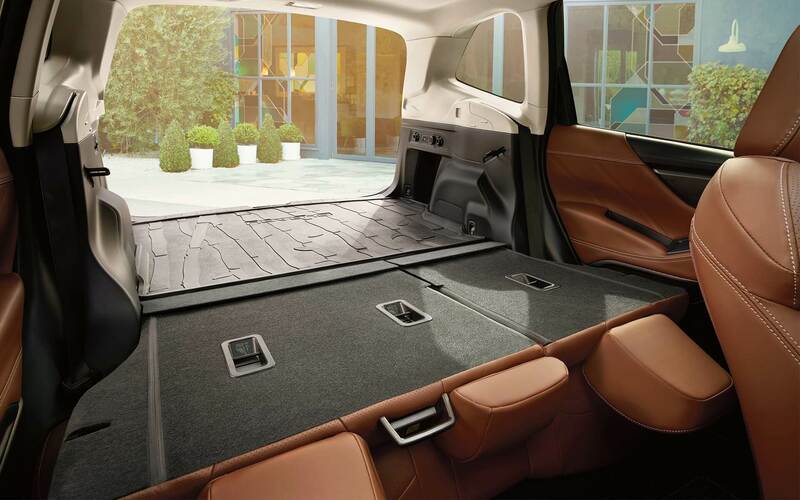 The Forester's cargo room (with the rear seats folded down) has been increased for a total of 76.1 cubic feet while the rear gate is 5.3-inches wider than years before so you can load all your gear in with ease! 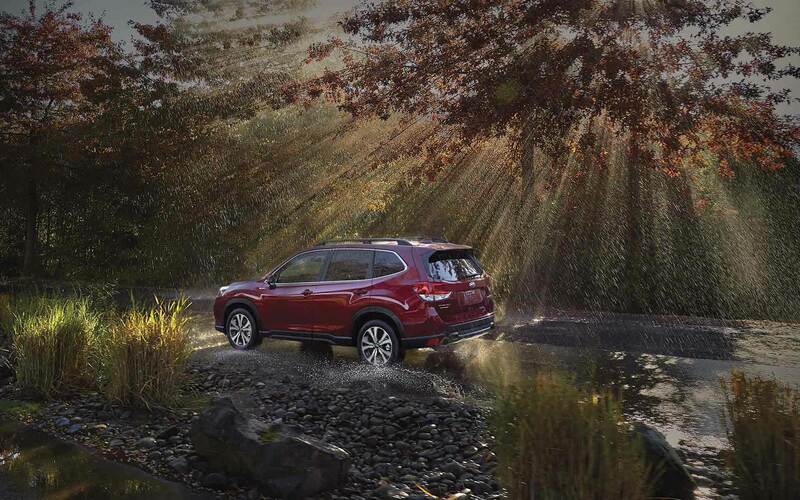 Can you tell us about the Forester's engine power? 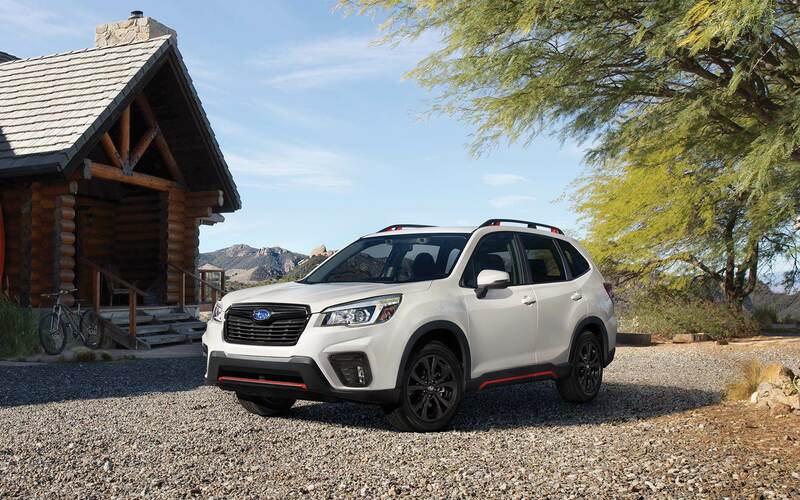 Every 2019 Forester model is powered by the newest version of the 2.5-liter SUBARU BOXER four-cylinder engine. Built with higher compression, direct fuel injection and active valve control system this engine delivers an impressive 182 horsepower and 176 pound-feet of torque. More powerful than the years before, this engine offers a boost in responsiveness and performance! Every model pairs this engine with a Lineartronic CVT. Together this powertrain delivers an estimated fuel economy of up to 33 miles per gallon when cruising on the highway! 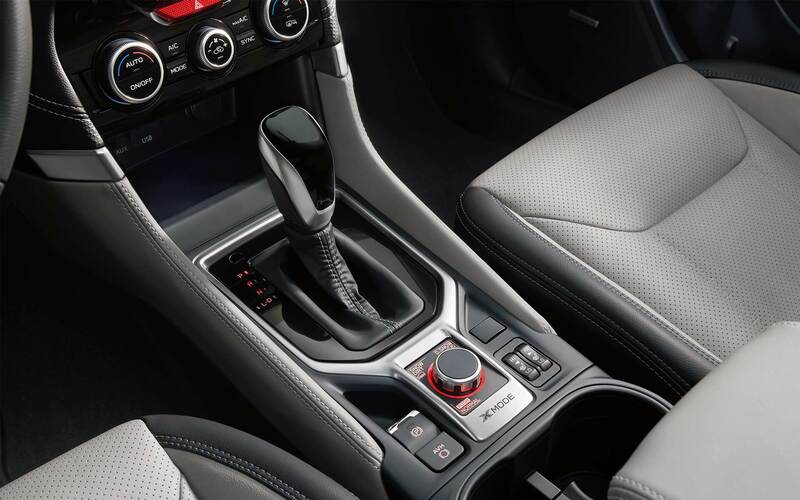 The Sport and Touring models add a manual mode to the transmission that simulates a 7-speed manual transmission with steering wheel integrated paddle shift controls. 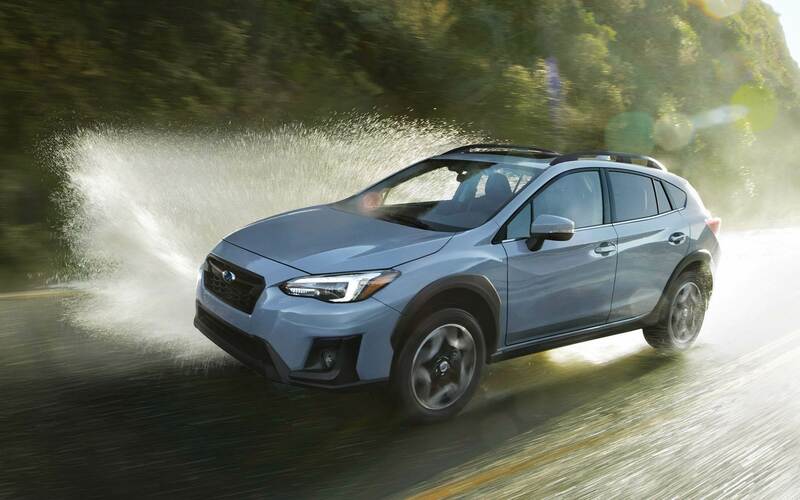 Each model is also outfitted with Subaru Symmetrical All-Wheel-Drive as standard that provides all-around capability for adventure enthusiasts and peace of mind on those snowy drives. What kind of safety does the 2019 Forester offer? 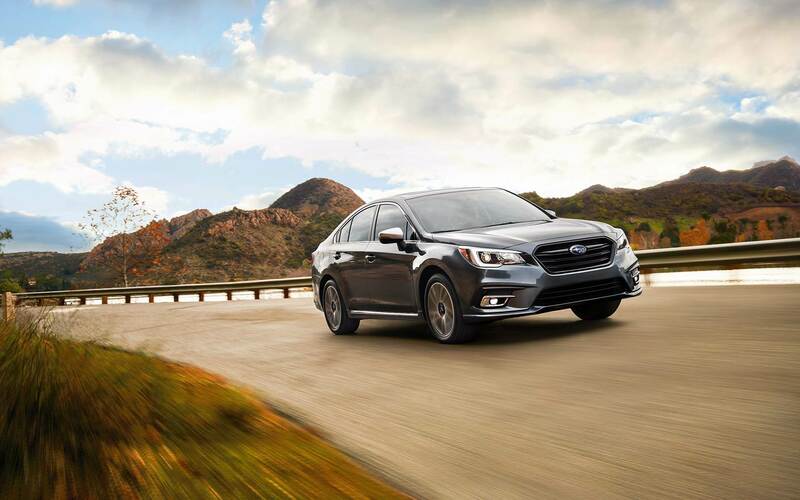 Subaru makes safety a number one priority so that you can feel confident behind the wheel and have peace of mind that your family will be protected from outside threats. 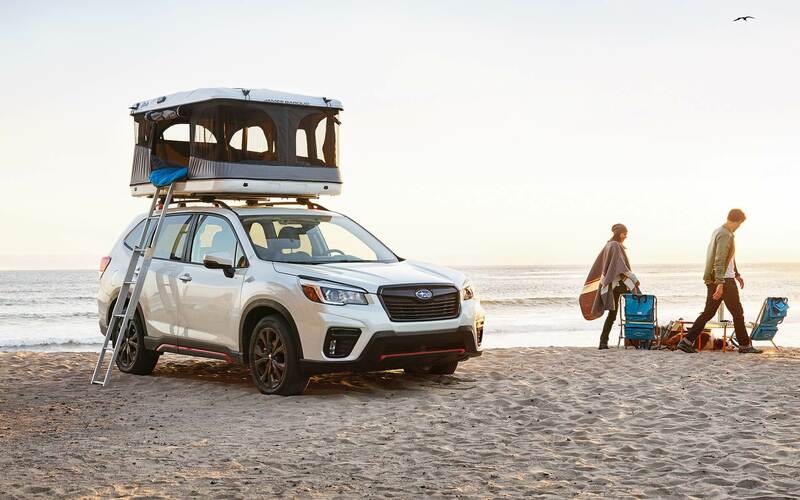 Each Forester is built on the latest Subaru ring-shaped reinforcement frame design that helps to provide superior occupant collision protection. Each model is outfitted with the EyeSight Driver Assist Technology which encompasses many safety features including Lead Vehicle Start Assist, Pre-Collision Throttle Management, Lane Keep Assist, Lane Departure and Sway Warning, Adaptive Cruise Control, and Automatic Pre-Collision Braking. Available features for the 2019 model year include Rear Cross Traffic Alert, Blind Spot Detection with Lane Change Assist, Blind Spot Detection, and Reverse Automatic Braking. Higher trim levels will be outfitted with features like a tire pressure monitoring system, High Beam Assist, and even Steering Responsive Headlights. 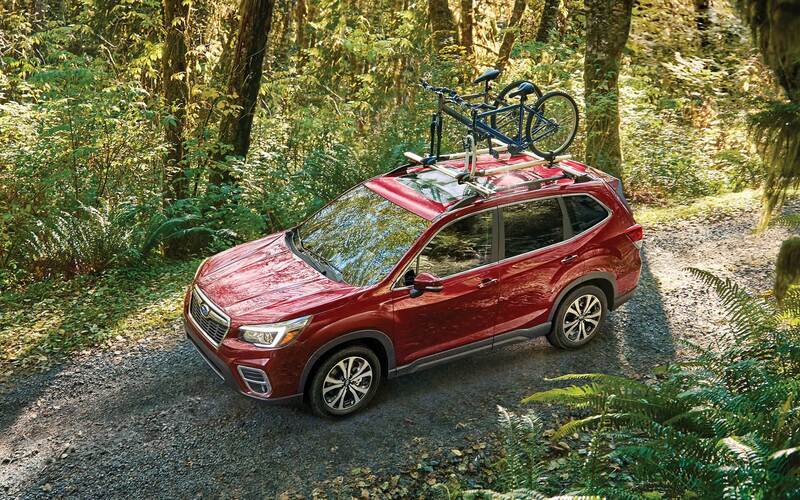 The 2019 Subaru Forester is more capable than ever before, offering more of everything from engine power and efficiency to passenger and cargo room and even safety features! 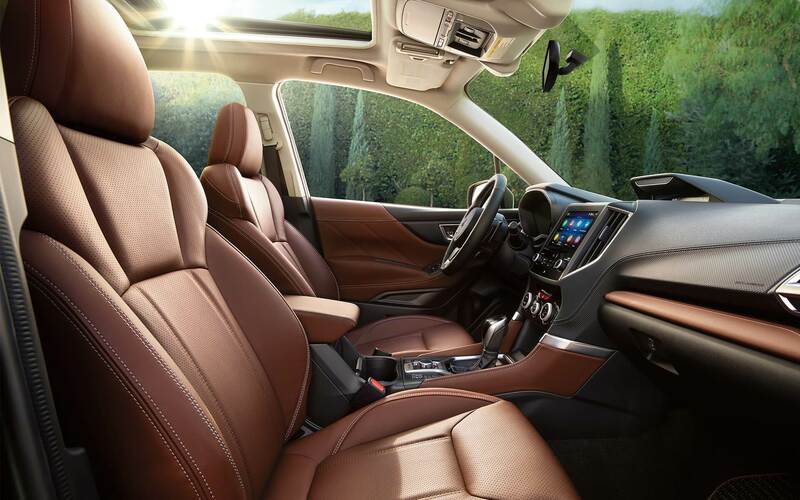 Are you interested in learning more about the brand new and fully redesigned 2019 Subaru Forester and all that is has to offer? You can call up our sales department with their direct line at 866-797-6345 or fill out the contact form that we have provided below!